Managing a workforce that is 90% seasonal can be challenging. 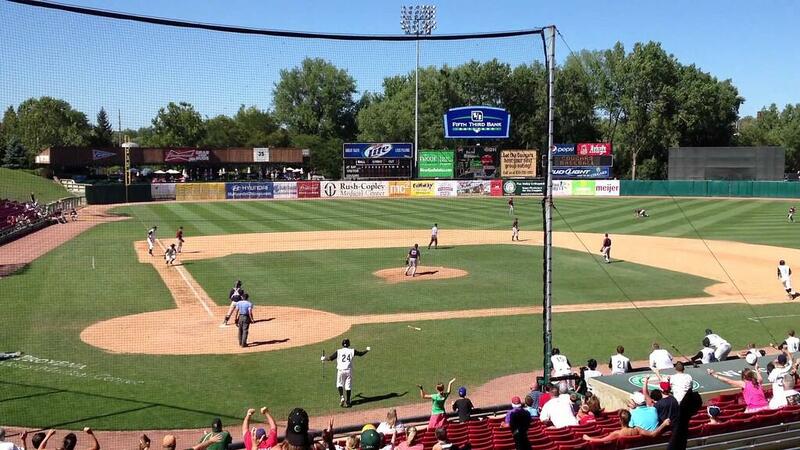 The Kane County Cougars moved to the Chicagoland area after leaving the quiet town of Wausau, Wisconsin to revive their team and fan base. As the current Class A affiliate of the Arizona Diamondbacks, the Cougars, in addition to the obvious, playing baseball, deliver affordable family entertainment to their patrons. In addition to handling uncontrollable circumstances such as the weather or the busy weekday schedules of its fans, a minor league baseball team has to deal with the influx of seasonal staff. The key to success is to control what you can and have a plan to respond to what you cannot control. For Kane County Cougars, 200 seasonal staff members means onboarding/hiring, payroll paperwork and timekeeping challenges. These activities, if not handled effectively, take time away from administrative staff duties. Because time is a premium, any efficiencies or time savings that can be achieved are highly valued. What most people do not realize is that the entire Cougars staff is ‘on duty’ come game day. This includes front office, operations and hospitality. Horizon not only provides a more efficient payroll, onboarding and time clock system but also a level of customer service that creates a win-­win situation for both sides. Horizon never treats the Cougars as a customer, but rather as a partner. Horizon’s team spends the time to learn our specific challenges and works closely with us to make us a better and more efficient organization. Their solutions are tailored for our needs. We are now considering expanding our engagement with Horizon on a number of other services such as payroll distribution services and their HR Portal. Due to the seasonality of the Kane County Cougars business model, up to 90% of their workforce is composed of seasonal workers. Because of these challenges, the Cougars are working with Horizon Payroll Solutions across a number of different platforms and services. With an online system, Horizon gives the Kane County Cougars ease of communication between employer and employee. Because the Cougars have two main department areas, game day operations (including parking, security, ushers, KidZone, first aid and souvenirs) and administrative office operations (including finance/HR, ticket and advertising sales, media relations and promotions), significant time savings can be achieved. The Cougars team estimates they've saved $7500 per season based on efficiencies gained through the online process. One of the biggest areas of savings occurred in the reduction of onboarding man-hours previously spent verifying or chasing down missing or incomplete employee documents. In addition to online onboarding, Horizon provides time clock services that are used by the Cougars seasonal staff. All this information is made available via an online resource that is internally integrated with the payroll system. Everyday, the department head receives an email summarizing when each staff member clocked in and out. This allows management to address any payroll and/or timekeeping issues on a daily basis. Horizon time clocks bring a level of accountability to the Cougars staff and ultimately save time and money in the payroll cycle. As anyone with a high percentage of seasonal staff knows, payroll can certainly be a challenge. Horizon's payroll solutions help the Cougars with accurate payroll tracking (timekeeping), payroll (especially a challenge during onboarding) and reporting. Because Cougars seasonal personnel have a 75% staff return rate annually, they are able to keep the same paperwork in their system and simply change the employee's status from active to inactive. Any additional changes are simple. Every pay cycle, Horizon calculates appropriate withholding and delivers reports that are categorized and customized to the Cougars chart of accounts and general ledger. These reports make each pay cycle's reconciliation simple and error free. "I recommend Horizon because they provided us different solutions that have helped our business in a number of ways, ultimately resulting in time and money savings. The customer service is outstanding. For somebody who doesn't have a lot of HR experience, like myself, they've been able to answer questions for me, give suggestions and propose solutions that might help one way or another. Ready to see what Horizon can do for you? Contact us with any questions you may have.